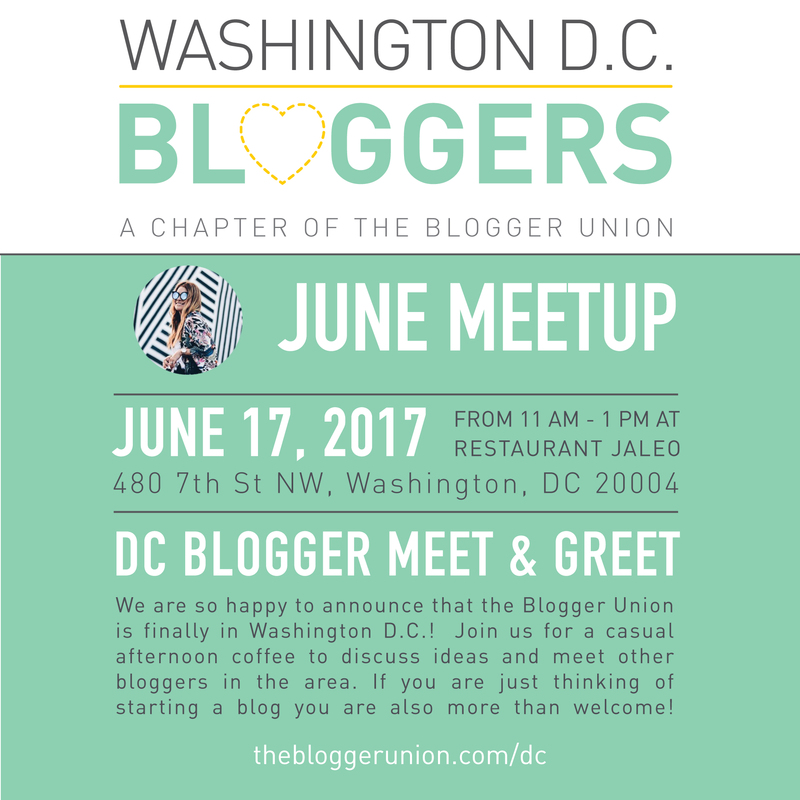 We are so happy to announce that the Blogger Union is finally in Washington D.C., ready to expand our fast growing, hardworking, and fun community! Similar to our work in other cities across the US, we hope to connect creatives from different platforms, including photographers, bloggers, youtubers, etc. and plan to host monthly meetups with guest speakers to help take your blog to the next level, and give you the opportunity to grow professionally. Join us for a casual afternoon coffee to discuss ideas and meet other bloggers in the area on Saturday, June 17th, from 12-1pm. If you are just thinking of starting a blog you are also more than welcome! Hola I'm Lola. I'm a Venezuelan new mom and I share my love for fashion and family adventures in www.oh-lola.com.